Save on Old Fashioned Hams for Easter! Our famous Old Fashioned Hickory Smoked Ham is perfect for Easter. Save now on Whole $3.59/lb. and Half $3.99/lb hams. Our world famous Hickory Smoked meats have been the backbone for the business since the day it was started. We have increased the amount of flavors we have along with the space we have to make them. We take great care when processing Deer, Hogs and other meats that are brought to Trumbull Locker Plant. All of the deer are processed individually so no parts are mixed with other deer. Trumbull Locker Plant has a great assortment of meats, cheeses and wine for their large and small gift baskets. Perfect for any occasion. Stop In and Order yours today! We offer a variety of specials throughout the year. Located in this section of our web site you can view the latest specials we have. to make your mouth water for more! WELCOME... THANKS FOR VISITING US! 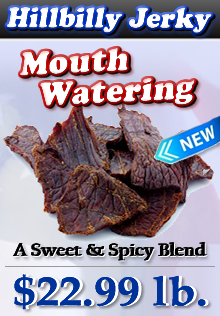 If it's that mouth-watering, tastebud satisfying Hickory Smoked Meats you are craving, search no more! Trumbull Locker Plant, located in Trumbull Township, Ashtabula County, Ohio, has been offering their very own Old Fashioned Hickory Smoked meats to the community and other surrounding areas since 1947. From Jerky and Smokies to Bacon or Hams it just won't get any fresher than this! Are you having friends and family over for a cookout? Stop by and check out our fresh meat counter supplying fresh cut meats 7 days a week! From choice Steaks, Ribs, Pork Chops, Chicken and more, we offer everything to accommodate your next family get together or cookout. Also, our expanded produce area offers the freshest lettuce, green peppers, cucumbers, carrots, corn-on-the-cob, pickles and more. 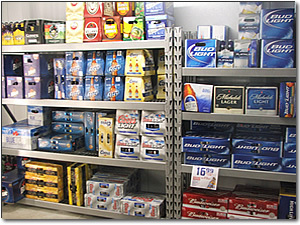 We have a new walk-in "Beer Cave" that has a wide variety of beer sold at State Minimum prices. Our newly expanded wine section offers great wines from around the region. Heading out and need some extra cash? Check out our new low fee ATM machine! Thank you for your interest in Trumbull Locker Plant. We look forward to seeing you soon!